Curtiss-Wright's Commercial/Industrial segment provides leading edge sensors, controls, sub-systems and mission critical components, as well as critical services and industry-leading valves, targeted at growing markets worldwide, including commercial aerospace, commercial and specialty vehicles, and a broad range of general industrial markets. Precision BioSciences utilizes its proprietary ARCUS Genome Editing method to overcome cancers, cure genetic diseases, and enable development of safer food. PRSONAS digital hosts are revolutionizing how brands serve their customers by humanizing technology, everywhere. Their technology creates human user experiences that help brands attract, automate, and analyze customer engagements. PRSONAS can be deployed across any channel including augmented reality, virtual reality, holographic projections, mobile and web. DNA-based tracer biomaterials for advanced energy solutions. CWNC STANDS OUT for computer repair, data recovery, legacy systems, desktops, laptops, monitors, server sales and Lenovo and Kendall Howard warranty support and distribution. Next generation CRISPR technology for programmed cell death. Focused on developing therapies for infectious disease and the microbiome. Hong Kong Aircraft Engineering Company Limited, better known as HAECO, is one of the world's leading independent aircraft engineering and maintenance groups. Anutra Medical has revolutionized local anesthetic delivery through buffering. With Anutra a practitioner can buffer local anesthetics safely and precisely. Alcami is a leading contract development and manufacturing organization that offers customized solutions for small and mid-sized pharmaceutical and biotechnology companies. 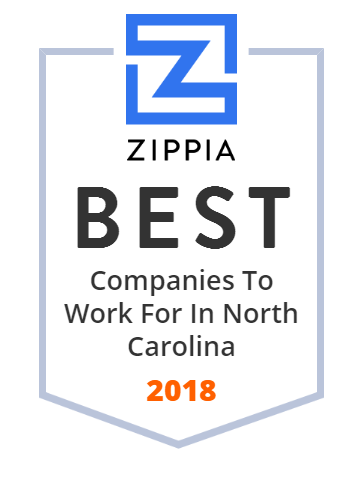 The company has two well-equipped laboratories located in Durham and Wilmington, North Carolina offering all phases of pharmaceutical drug product development for small and large molecules. It currently has over 1,000 employees operating at ten global locations. SciQuest, Inc., doing business as JAGGAER, Inc., develops cloud-based business automation software solutions for spend management. It offers spend analytics solutions that cleanse and classify spend data from various sources and formats putting data and analytics to work to drive and measure cost savings; sourcing solutions that creates events, manages bids, and awards contracts automatically to simplify and optimize the bidding process; supplier management solutions for on-boarding, maintaining, and managing supplier relationships; and contract lifecycle management solutions that automates the contract lifecycle from contract authoring and automated workflow approvals to a searchable archive of executed contracts. The company also provides procurement solutions that automates the purchasing process and drives contract compliance; inventory management solutions that finds, sources, and tracks chemicals and research supplies; accounts payable solutions that automates the invoice processing and vendor payment processes; and a supplier network that provides a single platform for various supplier interactions. In addition, it offers supplier enablement, implementation, customer support, and business process optimization services. The company provides solutions on-demand over the Internet using a software-as-a-service model. It serves general commercial, higher education, life sciences, healthcare, and state and local government customers through a direct sales force in the United States and internationally. SciQuest, Inc. was founded in 1995 and is based in Morrisville, North Carolina. Provides Computer Related Services, Specializing In Maintenance Services (97%). Retails Computers Or Computer Software, Specializing In Computer Peripheral Equipment (3%). Marlin Firearms Co., formerly of North Haven, Connecticut, is a manufacturer of semi-automatic, lever-action and bolt-action rifles. For more than 200 years, Remington firearms have been forged from the untamed spirit that will always define the American spirit - Revolutionizing an industry. Building a nation. This is Remington Country. We are your mixed signal ASIC company. We provide full turnkey development services and virtually any production volume across multiple key markets. Meeting expectations is one of the missions of PLI Card Marketing Solutions. For 35 years, the company has been the largest gift, loyalty, and hospitality card manufacturer in the world. It has four US facilities strategically located in Asheville, NC; Chicago, IL; St. Louis, MO; and Las Vegas, NV. The company's also has distribution centers located in Canada and the Netherlands. Metabolon is the global leader in metabolomics, a powerful phenotyping technology for advancing biomarker discovery, diagnostic testing & precision medicine. Heat Biologics Inc. is a US biotechnology company focused on the field of cancer immunotherapy.